Get Involved with SAPHA Today! The SAPHA Blog, "Voices of SAPHA" is a place where we can share and discuss our experiences working with different South Asian populations across the US. The blog is meant to humanize the academic works that have been published about the population. 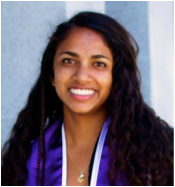 Pavitra is a multifaceted MD candidate at Thomas Jefferson University, with an MS in Global Medicine and BA in Psychology from the University of Southern California. Her experience as the daughter of South Asian immigrant parents catalyzed her interest in themes of cultural competence and international health. As such, she has engaged in projects involving cultural diversity, integrative medicine, and medical ethics. She has also attended PHR's Asylum Training and serves Philadelphia's Bhutanese refugee community in a clinical capacity. Pavitra is currently designing an interventional research project aimed at improving mental health outcomes for refugee populations. To read more about her, visit pavitranet.weebly.com. Melanie Wathugala is a graduate of University of California, Berkeley. She majored in Chemical Biology and minored in Ethnic Studies. While at university she was President of a medical fraternity, Phi Delta Epsilon, volunteered for Habitat for Humanity and Children's Hopsital Oakland, and started the Sri Lankan Students Association. Since graduating in May 2014, she completed a six month fellowship through The Asia Foundation in Sri Lanka, where she worked on HIV awareness/testing campaigns for the Family Planning Assocation and dengue fever data analysis for Genetech Research Institute. Her future plans include starting medical school in August 2015. Dr. Shipra Singh serves as an Assistant Professor at Department of Health and Recreations Professions, University of Toledo, Ohio. She attended medical school in India, and continued her Medical Externship at S.I.U. School of Medicine, Springfield, Illinois. Dr. Singh holds an MPH and PhD in Health Behavior and Health Education from University of Michigan School of Public Health. Her research examines the social determinants of health that contribute to health disparities among minority populations. Dr. Singh is the Director of the Health Disparities Research Collaborate at the University of Toledo that supports innovative translational research to reduce health disparities, improve health equity, and create opportunities for social justice. 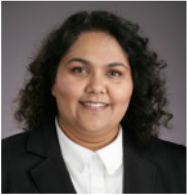 Hafsa Ahsan is the manager of education and outreach at the Alzheimer's Association Greater Illinois Chapter. She has a bachelor’s degree in Psychology from Virginia Commonwealth University and an MSW from DePaul University. As part of her role at the Alzheimer's Association, Hafsa reaches out to various communities within Cook County to provide education about Alzheimer's disease, resources to help manage the disease, and encouragement for local research project participation. She also launched the Diversity Initiative at the American Red Cross Biomedical Services. Hafsa is passionate about making a difference in peoples' lives by bridging the gap for all who need support through helpful resources that can impart positive change.